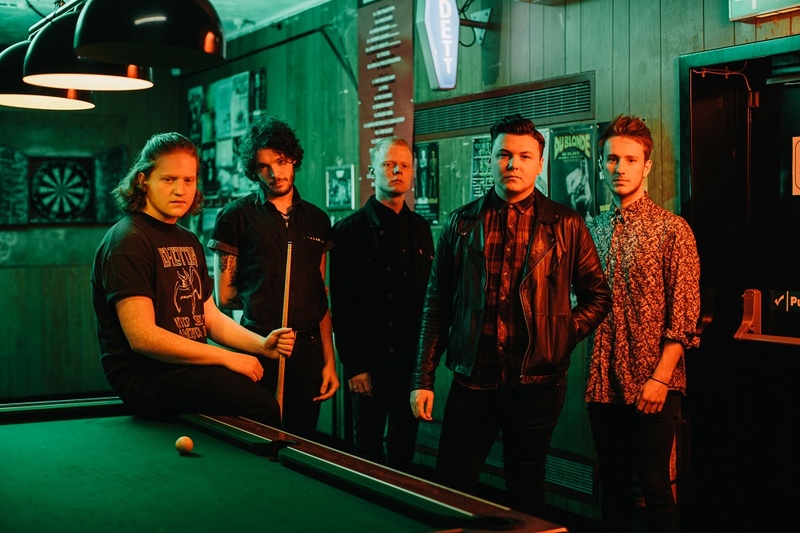 Leeds-based quintet Fizzy Blood have announced they will be releasing their brand new single ‘I’m No Good’ via DMF Digital on 20th September alongside a lengthy run of UK headline tour dates. Already drawing comparisons to the leather clad, cast-iron spirit of Pulled Apart By Horses and Queens of the Stone Age, previous single ‘January Sun’ landed them appearances at Download Festival, Liverpool Sound City and Tramlines Festival not to mention a tour with legendary punks The Dead Kennedys, as well as glowing praise from the likes of Kerrang!, Rock Sound, Clash Magazine, BBC R1, XFM, KROQ and more. The five-piece garnered all the right kinds of attention earlier this year with their debut EP ‘Feast’ acclaimed for its relentless, restless and robust vigour, with a new pressing of 300 limited edition vinyl copies of the ‘Feast’ EP which will be available exclusively at the upcoming tour dates. Catch them in a small space while there’s still time to feel the sweat dripping from the ceiling and the ringing in your ears.